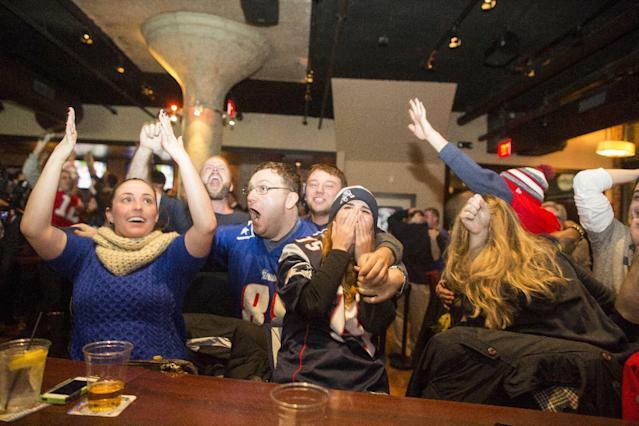 New York (AFP) - New England's dramatic victory over Seattle in Super Bowl 49 on Sunday was the most watched show in American television history, seen by a record 114.4 million US viewers, telecaster NBC said Monday. The Patriots' 28-24 triumph over the Seahawks in the National Football League's championship spectacle lured 2.2 million more viewers than the previous record holder, the telecast of last year's Super Bowl when Seattle routed Denver. "Last night's Patriots-Seahawks Super Bowl ranks among the most exciting sporting events in US history," NBC Sports group chairman Mark Lazarus said. "Super Bowl 49 delivered for all of our partners, proving once again that the Super Bowl is the most dominant and consistent property on television." The Patriots rallied from a 24-14 deficit with two fourth-quarter touchdowns and denied Seattle from the one-yard line in the dying seconds to capture the crown. Seven of the eight most watched shows in US history are Super Bowl telecasts, with the past six NFL title games filling the top six spots ahead of the only scripted program, the 1983 final episode of the TV series M.A.S.H., which attracted a US audience of 106 million people. Sunday's game drew a 47.5 rating and a 71 share, becoming the highest-rated Super Bowl since 1986 when Chicago defeated new England in Super Bowl 20. It ranks as the fourth-highest rated telecast ever and ninth in US TV history, the only one in the top six from the past 29 years as audiences have enjoyed greater viewing options with the evolution of cable and satellite telecasts. Rating is a measure of potential audience members tuned into a program at a given time, while share is the percentage of people watching television tuned into a specific show at a certain time. Viewership peaked at 120.8 million viewers during the fourth quarter, when Super Bowl Most Valuable Player Tom Brady completed 13-for-15 passes for 124 yards and two touchdowns to rally New England to victory. 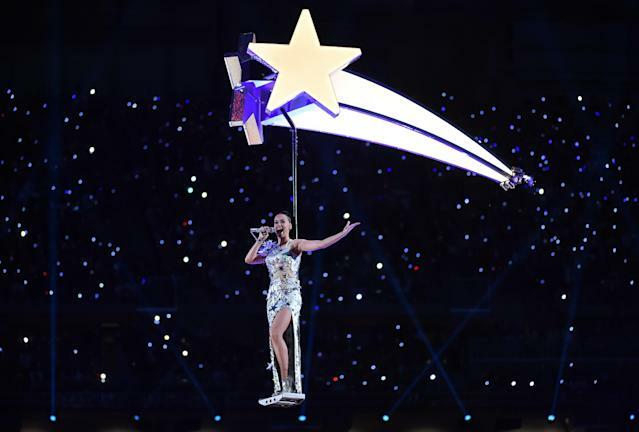 Katy Perry's half-time show was watched by 118.5 million viewers. Viewership figures are determined by calculating the average number of people watching over the course of the entire game. Boston, the home market for the Patriots, led US major metropolitan areas in ratings with its best mark ever at a 61.0 rating and 85 share. Seattle shared 17th on the list with a 52.1 rating and 89 share.